Please complete all required fields and verify you are not a robot. We care about our clients, our work, our communities and each other. Our focus on individual service and personal relationships is a conduit by which we demonstrate caring and excellence in our mission of improving quality of life and creating sustainable value for employees, clients and communities. While T&M continuously evolves, core elements that have propelled our success remain constant. Since our company was founded over 50 years ago, our people have been the foundation of our success. Accordingly, T&M is committed to helping our employees achieve their full potential and realize rewarding and fulfilling career opportunities. Working at T&M demands a certain kind of professional—one who thrives in a team environment, exhibits a level of dedication that stands out from the rest, and who chooses T&M because our culture rewards accomplishment and our work makes the world a better place. At T&M, we value diverse perspectives and prize teamwork as a tool to derive the best solution for the challenge at hand. We seek to deliver high-value consulting and technical solutions, working as partners with each other and our clients. We are unified in our desire to offer clients a leading team of thinkers and doers who cultivate excellence and collaborate seamlessly. Our culture encourages us to excel, to find strength in diversity of people and ideas, to distinguish ourselves as leaders, and to unite in teamwork. All of these qualities combined bring value to T&M, sustain our business and offer rewarding career experiences to our employees. Community engagement is central to what we do at T&M. Beyond providing professional services, we collaborate with a wide range of community partners, applying our talent and expertise to help address societal challenges with measurable and sustainable solutions. T&M is committed to the communities we work and live in as volunteers, engaging in community-based activities that make a positive impact. 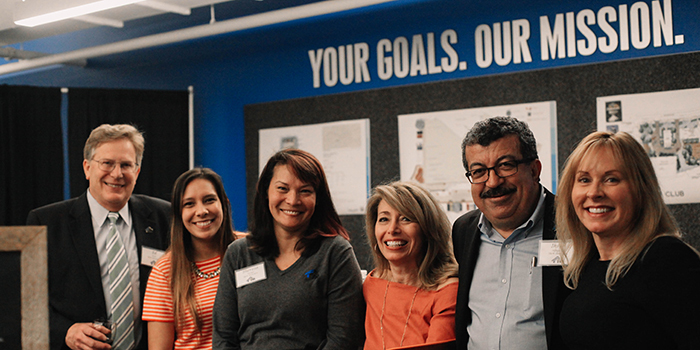 By bringing our employees together to understand, engage in and act upon critical issues that impact our community partners, we make a difference, enrich people’s lives, help those in need, and more closely connect with our clients and their goals. We offer a broad range of programs to help our employees achieve their full potential, realize rewarding and fulfilling career opportunities, and make an impact within the communities we serve. 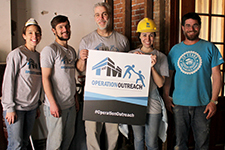 Operation Outreach is a company-wide initiative aimed at aiding employees in need, supporting our partner communities through volunteerism and promoting STEM education. Under the program, T&M volunteers routinely participate in blood drives, STEM education events, beach cleanups, food drives, home rebuilds and numerous other community service events. In today’s changing business environment, young professionals face many pressures, both professional and personal. We understand that our employees need tools they can use to help manage their careers. The Young Professionals Group (YP) helps employees pursue personal growth and development, but is particularly focused on those who are in the early stages of their professional careers. The T&M Wellness Works Committee enhances the well-being of all employees and their families by focusing on building awareness, providing education and offering a robust package of resources and benefits to foster and promote healthy lifestyles. Popular events include T&M’s annual “Fitness Challenge” and complimentary onsite biometric screenings for all of our employees. T&M sponsors Project Lead the Way (PLTW) programs at Long Branch and Colonia High Schools in New Jersey. PLTW is a national non-profit organization which provides resources and educational aid to students who wish to enter the STEM fields. 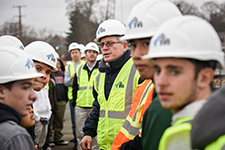 T&M actively participates in both programs by providing classroom presentations and organizing field trips to local project sites. 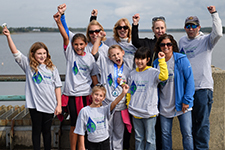 T&M has worked closely with Habitat for Humanity in Monmouth County (HFHMC) since 2012 and was recognized with their “Corporate Citizen Award” in 2016. 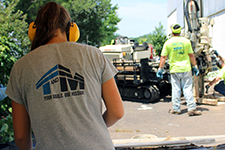 T&M provides helping hands at many of HFHMC’s builds as well as marketing and organizational support for the special events held throughout the year. 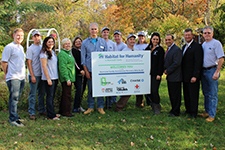 T&M also routinely works with Habitat for Humanity of the Lehigh Valley. 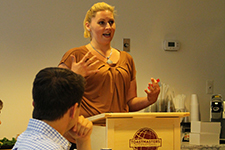 With affiliation to the national chapter, the mission of the T&M Toastmasters Club is to help employees become better public speakers by improving confidence, improving the ability to think on your feet, talk in front of large groups of people, and build leadership and team building skills. Employees from all offices are encouraged to join and participate! T&M realizes the importance of group socialization to bond employees together and to create an awareness of different disciplines within the firm outside of a working environment. 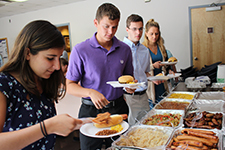 The goal of T&M Social Events Committee (SEC) is to supplement the work environment with a social atmosphere for T&M employees and their families.